While I agree entirely that disabilities are not necessarily caused by kamma, nevertheless it is not quite correct to say: "Positive or negative kamma manifests itself as either positive or negative feelings." In Majjhima 135 in synopsis it says: "He who kills and is cruel goes either to hell or; if reborn as a human; will be short-lived. He who torments others will be afflicted with disease. The angry one will look ugly; the envious one will be without influence; the stingy one will be poor; the stubborn one will be of low descent; the indolent one will be without knowledge." The contraries also apply, of course, so it seems that kammic-result can manifest physically also. 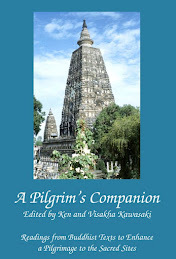 As explained in Dhammapada Atthakatha, the fact that Khujuttara was a hunchback is a result of her past negative kamma. In one of her past life, she had imitated, rather abusively I think, the walking style of one paccekabuddha. Whether most of the things quoted in in Majjhima 135 are pleasant or unpleasant is subjective – being ugly, for example, being without influence, being socially low or high. What makes them ‘unpleasant’ or not is whether or not we want or like them. If was born with a long neck here in Singapore I would consider myself and be considered by others to be a freak and probably be rather unhappy. If I was born as a woman in some tribe in Burma with a long neck I would be considered very beautiful and be envied by the other women and sought after by the men. I would be ‘lucky’ and probably be quite happy. I vividly recall a friend of my grandfather telling me how ‘fortunate’ he was to be badly shortsighted because while all the young men in his town were enlisted in the army and nearly all were either killed or permanently maimed during the war, the army refused to take him. Is shortsightedness ‘good’ or ‘bad’? It becomes bad kamma if you don’t like it and it becomes good kamma if you do. Therefore, I maintain that it is more accurate to talk about positive and negative kamma in terms of feelings than specific states or circumstances. 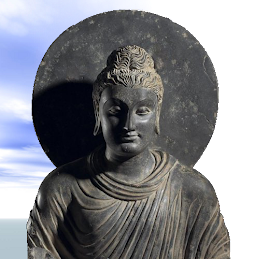 Perhaps the Buddha mentioned specific states and situations rather than feelings because it was easier for people to understand. the story about Khujuttara would be a good example of what I call quaint but rather silly stories. They were probably devised by people whose intelligence was unable to rise above anything more complex than ‘swearing in this life causes bad breath in the next’, an example that is also found in the commentaries. "Some misinformed Buddhists believe that to be disabled must be the result of having done something negative in a former life. Such a belief is a good example of what can be called kammic naivety." "Therefore, I maintain that it is more accurate to talk about positive and negative kamma in terms of feelings than specific states or circumstances." Although we may want to talk in terms of feelings, the fact remains that the scriptures recorded that the Buddha taught negative karma can result in certain physical conditions, such being afflicted by diseases and having a short life, as in the quote by the Ven Anandajoti. Of course, how we deal with the present situation will depend on the degree of wisdom we can develop. So it is possible to be happy even if we are physically handicapped, though I would say it is going to be more difficult than the average "normal" person. May I add that I believe "mind" and "body" are just categories of human language. If there is no body, there is no mind. And if there is no mind, there is no body. (We may think there is still a body when there is no mind, but that is only because see the body of someone else with our mind-body.) 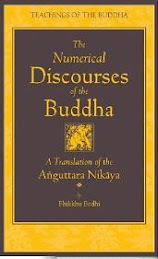 Thus when a person reached the state of nibbana, the mind and the body no longer exist (or neither not-exist nor exist), sometimes referred to as "extinction". Hence the physical and non-physical are very much intertwined in ways we are yet not too clear, and therefore it is not really incredible that karma can affect the physical body. Why worry about what is yet not our direct knowledge? Why do we need quotations? If some people believe that bad kamma may lead to poor physical state in future lives - OK - it is for them some help in improving their morals and behaviour If some people think - it is in the sphere of feelings - OK - To feel happier in future lives is also a good incentive to lead more righteous lives. But generally I think that we are wasting our time in debates on how happy or unhappy our next lives will be due to kamma, because we lose contact with here and now, and cannot make use of its opportunities. Too speculative. The Buddha probably had such thoughts in mind too when he said that speculative thoughts are like impenetrable jungle, like a boundless desert, like a blind wall, like fetters thwarting our progress. Some of us like to know why certain things we observe everyday happen in certain ways. So since the Buddha has given some explanation to certain things, there is some interest in hearing it, right? Unless of course we have reached enlightenment and "see" everything directly already, haha. "Is shortsightedness ‘good’ or ‘bad’? It becomes bad kamma if you don’t like it and it becomes good kamma if you do. Therefore, I maintain that it is more accurate to talk about positive and negative kamma in terms of feelings than specific states or circumstances." Actually, to me the "feelings" mentioned above is the same as the effect brought about by "specific states or circumstances". I've often read that Buddhas are always born in the Jambūdvīpa world continent, because the people there are more spirtually striving as compared to those in other continents. 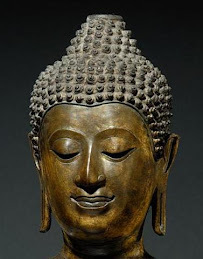 In that sense, I guess Buddhas are 'lucky' to be born in that kind of environment and time, enabling the Buddha-to-be to encounter an ascetic (one of the symbols) as well as allowing his teachings to be well recepted and thus established firmly. I have a phisical disability. I got polio in my childhood and, as result, me left leg is atrophied below my knee. Maybe we can say that was may bad action to be in a place infected by the polio virus. Maybe we can say that it was something resultant of bija nyiama (there was a virus and me on the same ground and nature follow its ways). But, in the only way that I can understand the Buddhadhamma, what matters to kamma is what I've done after that meeting with that virus. And what I do nowaday with my condition. Afterall, kamma means action, is'n it? In the way I can understand the Buddhadhamma, kamma is more related with we do from naw then with the origins of some situations. As Yuri said, that's a point of pure speculation. By the way, the 'Acitita Sutta' suggests us to not conjecture about kamma. P.S. : polio's virus is now extinct in my country. The new gererations are free from this disease. "I maintain that it is more accurate to talk about positive and negative kamma in terms of feelings than specific states or circumstances." But sir, in the Buddha's sense, Negative Kamma or Positive Kamma, is label as such is because of the result from such Kamma(action)... Kamma is Kamma, regardless good or Bad. It is because certain Kamma leads to the fruition of positive, certain leads to fruition of negative, thus there is differentiation. The results of Kamma does not manifest only in terms of feelings. Maybe you will want to speak them in terms of feelings, but the Buddha himself has choose to speak it in the way it was presented. He was the Samma-sambuddha, he knows the best how Dhamma should be presented. Maybe S.Dhammika has a better solution than the Samma-sambuddha. "If was born with a long neck here in Singapore I would consider myself and be considered by others to be a freak and probably be rather unhappy." Why born in such a society with such a form? It's Kamma, sir! You've got it! But regardless from whatever Kamma that has already ripen. We can still constantly make more good Kamma, that will result in pleasant fruits, which can actually act as a cushioning effect for existing bad Kamma ripening. Regardless is that long neck lady, or the shortsighted man. Their kind of joy arises from the positive Kamma that is rooted on non-greed, non-hate. You are stating an example of how Kamma results as feelings, but it does not deny that Kamma results physically as well. I think you have offered by far the best contribution to the discussion. Just stick to the text, take them all literally, never think out of the box and never, under any circumstances, think for yourself. That way we will never have to deal with moral and philosophical problems that arise by believing that everything is due to kamma. And besides, that’s exactly what the Buddha asked us to do, isn’t it? Skillfull using the literal notion of kamma, as Ven. Anandajoti mentioned it, can be very helpful. We have known some devout Khmer and Burmese refugees who overcame hatred of the wrongs done to them that way. I am semi-disabled, deformed really. Many of you have quoted the same passage that says that kamma effects physical traits in the next life. I have some aversion to this. Wouldn't then the Buddha have been the most handsome, rich, healthy, physically perfect person? It seems silly to use this argument because then attaining enlightenment would also mean that one would gain seemingly physical or social perfection. I think that the overall message is true, kamma is actions that will have an affect. It just seems like a punishment to say that the disabled are disabled because they were bad in a past life. For those who think like that, I would like to see you walk a mile in the shoes of a disabled person. It is a life filled with suffering. That reason is why I chose Buddhism to follow, to help me elevate the suffering in my life. While I do believe that my deformity was caused by my actions, I do not see it as a punishment. In a past life I was unable to progress towards enlightenment because my own insecurities held me back. My deformity is with me because my present life has the best possible chance of overcoming this past insecurity, and the only way i can do this is by having my deformity with me. That might seem very confusing, but it's what keeps me going. Is it possible that your deformity has biological reasons and has nothing to do with any kamma in a past life? 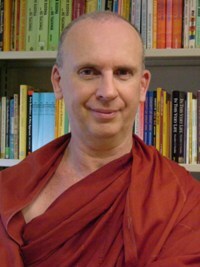 I think the point of Bhante's post is that the belief that physical handicaps are due to bad kamma are a pre-scientific and naive way of explaining what science now can explain. While I believe kamma is real, I would tend to agree with Bhante that the fruits of kamma are feelings rather than physical abnormalities.